The “J” is pronounced as an “H”, hence, “Hoo-La-Ton”. Born in San Francisco, California, Ana Julaton spent her childhood years watching classical Bruce Lee films and developed a passion for the martial arts. At the age of 10, Ana and her brother enrolled in a Tae Kwon Do (TKD) dojang where they both earned their Black Belts. By the end of High School, Ana traveled across the nation, competing and winning in numerous tournaments and capturing gold medals at the Jr. Olympic USA Nationals. She even missed her High School graduation ceremony to travel to Seoul, Korea and visit the World Tae Kwon Do Headquarters, also known as the Kukkiwon, and to train with some of the best practitioners the country has produced. At the age of 19, Ana continued her martial arts journey by enrolling in a no-nonsense, self-defense oriented school of Kenpo Karate where she became a full-time instructor and eventually earned her Black Belt. In 2004, Ana began boxing. 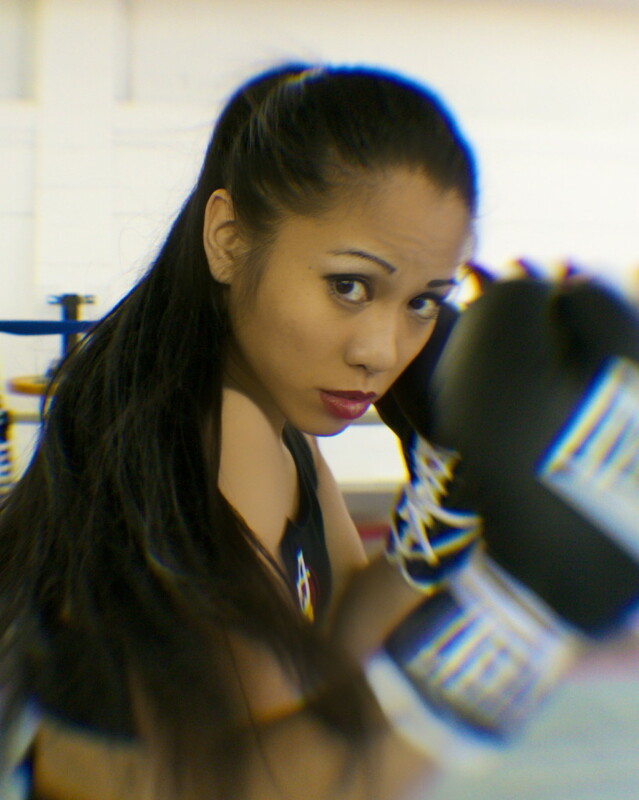 After only 2 weeks of training, she placed silver in the San Francisco Golden Gloves. “Going with the flow,” Ana continued training in the art of pugilism and the further she got involved, the more she felt there was a need to raise awareness on the exclusion of women boxers to compete in the Olympics. Championing this cause in her heart, she travelled across the nation getting local, national, and international attention to raise awareness. 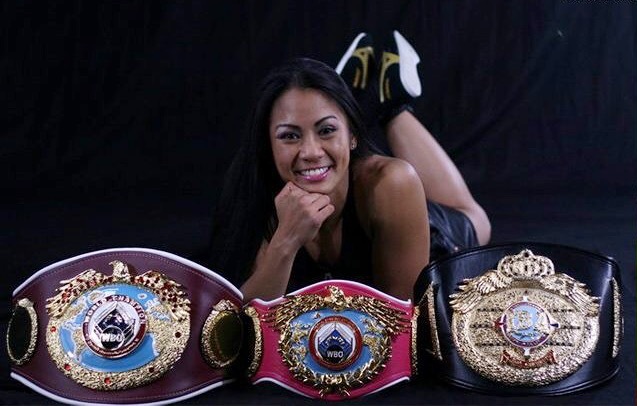 Within the next three years, Ana became one of the highest ranked boxers in the nation capturing numerous titles, including the San Francisco Golden Gloves and placing silver in the 2007 USA Boxing Nationals. With all her efforts and others like her, the 2008 Beijing Summer Olympic Games continued to exclude women boxers, a ban that had existed for over 100 years. This did not silence Ana to continue to be a voice for women competitors. She decided the next challenge for her was to turn professional. Ana was selected by Hall of Famed trainer, Freddie Roach, to be included in his stable of fighters: Oscar De La Hoya, James Toney, Amir Khan, Julio Caesar Chavez, Jr., George St. Pierre, and Manny Pacquiao, to name a few. Training camps were intense, both inside and outside the ring: from constant travel, media obligations, sparring sessions, training alongside with other world champions, and competing against some of the best boxers in her division. 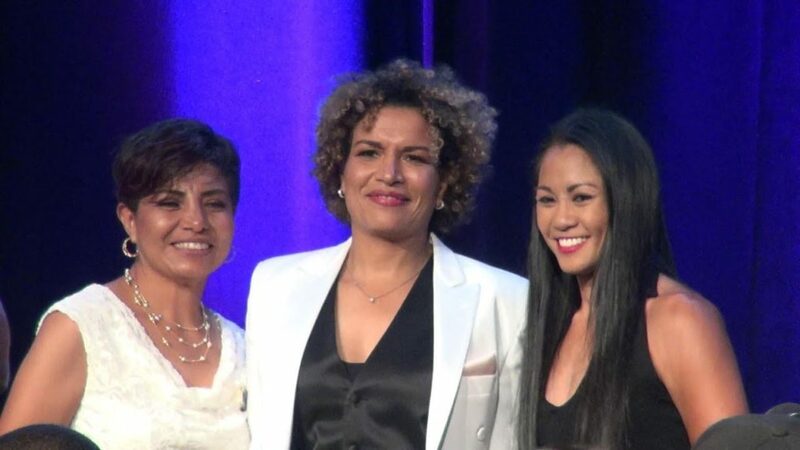 In less than two years, Ana’s tenacity earned her the International Boxing Association (IBA) world boxing championship title at the SAP Center, San Jose, where thousands of the Filipino community attended in support. This illustrious feat placed Ana as the first and only Filipina to win at the highest level in boxing history. As a world champion, she continued her “cause” for giving a voice to women in the male dominated sport by winning her second world title. Ana became the first ever World Boxing Organization (WBO) female champion in North America. The WBO had only recognized male fighters until Ana won it in 2009. In 2010, Ana captured her third world title with coaches Freddie Roach and Angelo Reyes at the Casino Rama Arena in Toronto, Canada. In front of a sold out crowd, the fight was a co-main event featured on TSN, which aired live across the nation, a first for women in boxing. In 2014, as a lifelong martial artist, Ana decided to take her talents to the sport of MMA, becoming the first ever “Two Sport Athlete to compete at the highest levels of boxing and MMA” in combat sports history and opened doors for all fighters. Ana won her professional MMA debut in front of a crowd of 20,000 people chanting her name at the MOA Arena in Manila, Philippines. The televised fight reached a billion viewers for the largest MMA organization in Asia. After 11 years of professional combat sports, Ana retires from both boxing, under Orion Sports Management, and MMA, under Bellator MMA, on March 21, 2018. During Ana’s 11-year run as a professional combat sports athlete, she was promoted by Allan Tremblay of Orion Sports Management and fought under Top Rank, Golden Boy Promotions, and competed in both boxing and MMA working with Bellator MMA and ONE Championships. Her fights were shown on FOX sports, The Paramount Network, and Spike TV. Internationally, Ana’s fights were featured across the globe: TSN Canada, FOX Philippines, GMA Pinoy TV, TFC, TV 5, and TyC Sports Argentina. Ana’s unparalleled skills and accomplishments enabled her to be featured on ABC, CBS, FOX, NBC, ESPN, Yahoo Sports, Sports Illustrated, Bleacher Report, O, The Oprah Magazine, ESPN the Magazine, SiriusXM, SF Weekly, and her own Allen & Ginter’s Topps trading card. The fight sold almost 4,000 seats without the backing of a major promoter or TV network. 1st woman to win WBO in the western hemisphere. also headlined at the SAP Center, San Jose, CA. Trained and cornered by Freddie Roach with Angelo Reyes. Freddie has only trained two women from pro debut to a world title (Lucia Rijker being the first). Ana is Roach’s 28th World Champion. Canada’s first women’s boxing feature on national TV. Fight was replayed 3 weeks later on GMA TV Philippines. Met President Ninoy Aquino as a guest of the Malacanang Palace shortly after her victory. Special Achievement Award from the Nevada Boxing Hall of Fame for being the 1st elite athlete for competing in both boxing and MMA. Achievement of material ranging from kicks, techniques, katas, and weapons. This is when Ana’s martial arts teacher, Angelo Reyes, introduced her to boxing and guided her career to working with elite coaches and athletes. From bringing insight, analyzing fights and style matchups to interviewing athletes, Ana brings a unique perspective from her experience as a former world champion and boxing historian. Ana has been featured on Sports Illustrated, SiriusXM & numerous shows. Check back for her own podcast to launch soon. Get the latest posts on the blog section of the website for news and updates. Governer of California (then former SF Mayor), Gavin Newsom, declared October 29 as Ana Julaton Day in her hometown of San Francisco. The Malacañang Palace invited Julaton to meet the former President of the Philippines, Benigno “Noynoy” Aquino III, after winning the WBO world boxing title. 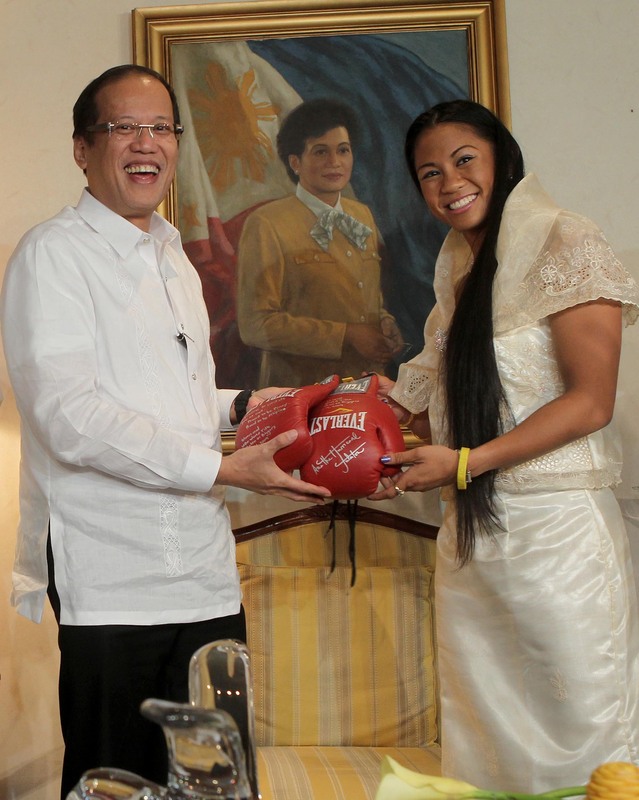 During this time, Aquino had just been inaugurated and Julaton was one of the first athletes to meet the President. Is plant-based & has learned some culinary secrets from renowned chefs like Hubert Keller, owner of Fleur de Lys & Steve Benjamin from L'Atelier De Joël Robuchon.